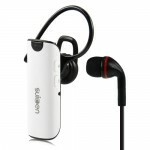 Earphone w/ Microphone and Volume Control Button for iPhone 4 4S 3GS 3G - OEM, Gadget Stop - For all of your phone and Apple needs! The light weight ear bud is designed for added comfort as you listen to your for iPhone or other music players with a 3.5mm earphone / headphone jack. The high fidelity full stereo sound technology will enhance your audio experience in any audio device. Position your portable device wherever you need it for added comfort. Ear buds fit comfortably in your ears which reduce the noise from the surrounding. 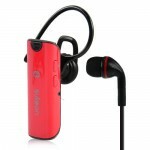 Lightweight stereo for you to enjoy listening to music in a trendy fashion. Adjust the volume by pressing the '+' and '-' buttons. Control music and video playback - including play / pause and next / previous - by pressing the center button. Come with built in a microphone. Excellent sound quality and super clear sound. 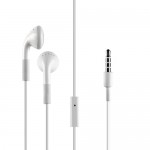 100% high quality generic Earphone with Microphone for iPhone 4, 4S, 3GS, 3G. 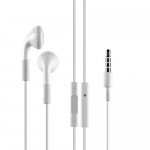 Compatible with for iPhone 4, 4S, 3GS,3G,2G, But pls notice that the button of '+' & '-' are not available for adjusting the volume when being connected with 2G or 3G's earphone. 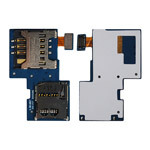 It may also be compatible with many different cell phone models with a 3.5mm headphone jack(we have not listed all compatible models).